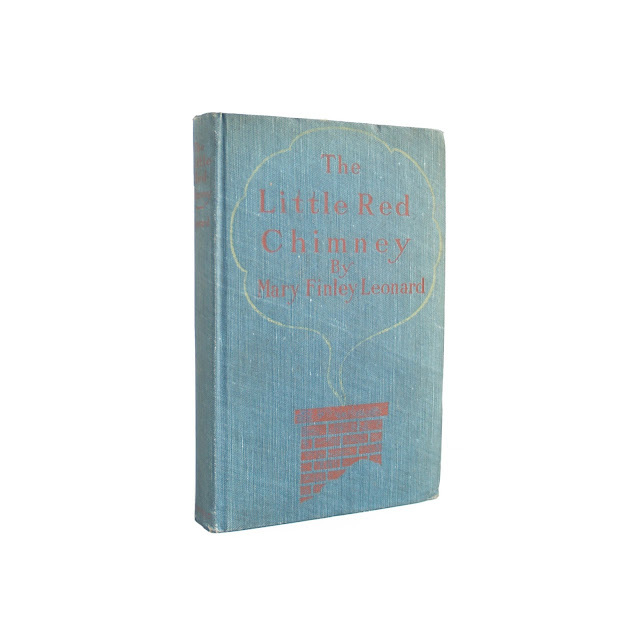 Mary Finley Leonard, born in Philadelphia in 1862, found a home in Louisville, Kentucky and made a career of writing charming young adult novels. 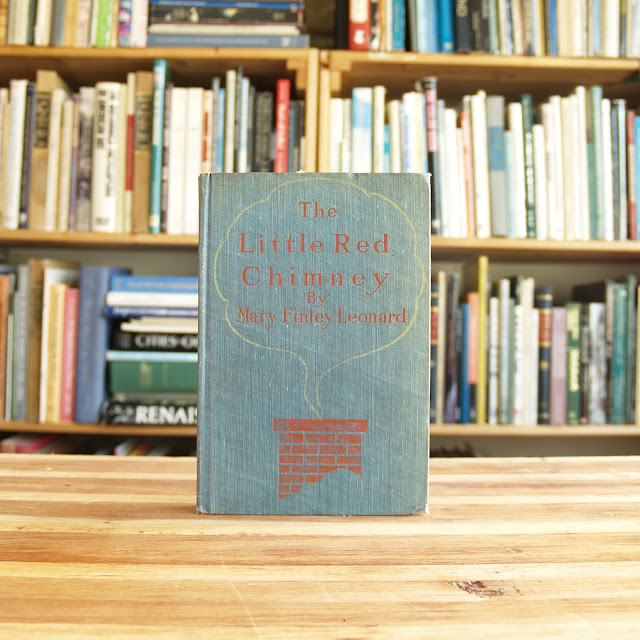 "Little Red Chimney" tells the story of a street corner candy man who falls in love. 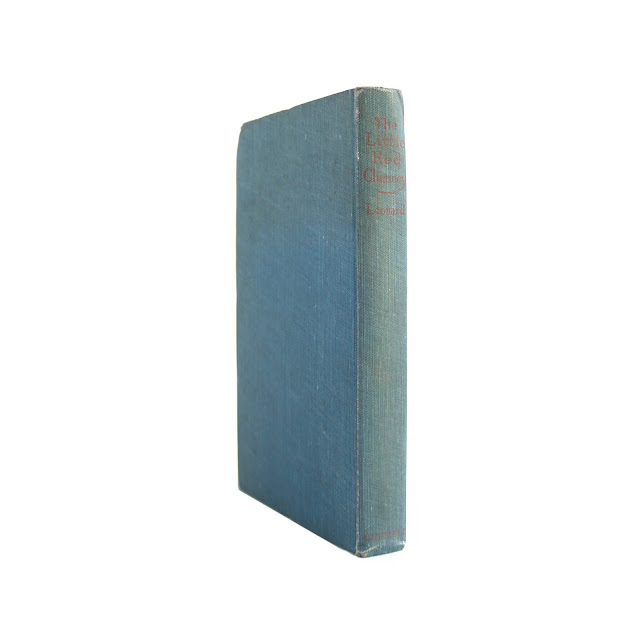 5 x 7.5 inches with 164 pages. 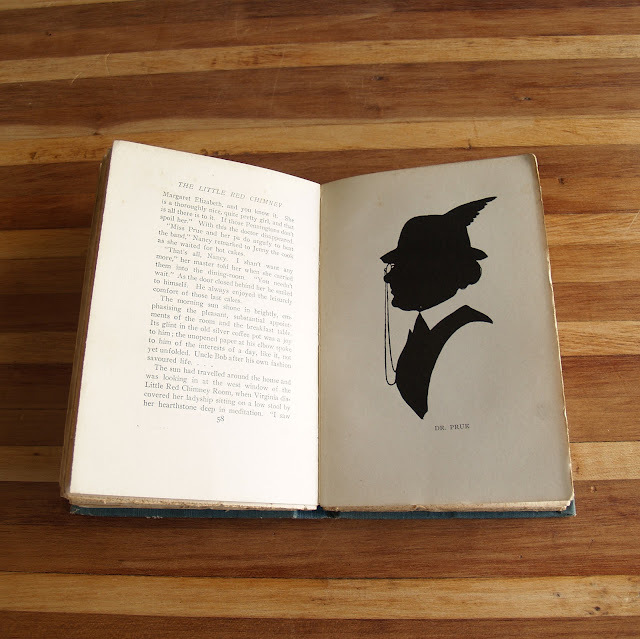 Eight illustrations in silhouette by Katharine Gassaway. Former owner's name is present, spine is faded, covers show wear and soil. A bit of foxing and tanned pages. 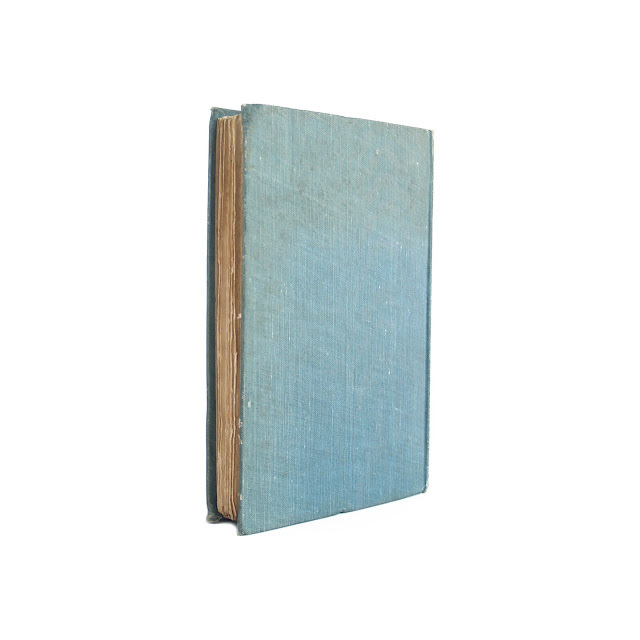 Binding is solid.